As children, most of us enjoyed playing in the mud. At some point, though, things changed, and it became socially awkward to go splashing about in a pool of brown goo. However, never fear, your childhood passions continue to live on every year in Boryeong, South Korea. Covering two weekends every summer, the Boryeong MudFest (보령머드축제) is one of the yearly highlights for many living in and visiting the Korean Peninsula. Begun in 1998, the festival comes from humble beginnings. Originally, the festival was just a way to promote the skin care products made from the Boryeong mud flats. Over time though, realizing that the mud itself was drawing many more visitors than the cosmetics, the focused shifted from the mundane to the maniac. The festival features many opportunities to get down and dirty, from mud slides, to mud wrestling, and even mud face painting. Once you get good a muddy, it’s a very short stroll to the ocean to wash off. Daecheon Beach, which is located next to the festival grounds, is a fantastic stretch of white sand and is excellent for sunbathing, relaxing, or swimming. There is also a great boardwalk along the beach that has some excellent seafood restaurants. On weekend evenings, there are concerts and fireworks to help you relax after playing in the mud all day. 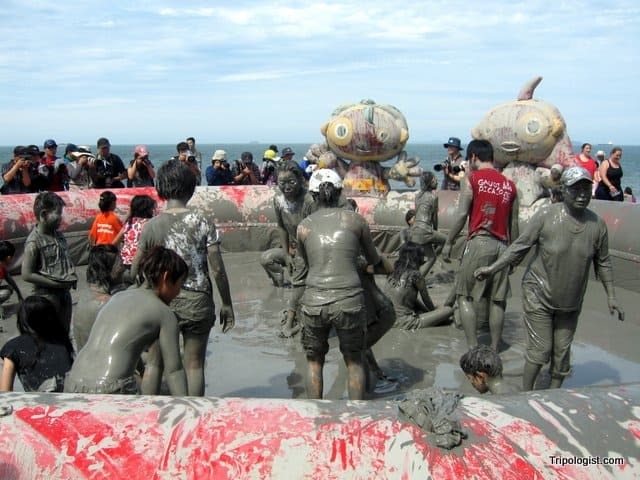 The 2013 Boryeong Mud Festival will be held between July 19-28 near Daecheon Beach on Korea’s west coast. The first weekend is the most popular with the local expat community, but both weekends are sure to be crammed full of drunk foreigners. If you’re visiting the Boryeong MudFest, please make sure that you keep your head. Many Koreans bring their children to the festival and the national newspapers always enjoy getting pictures of drunk waegooks. Boryeong can be reached by bus or train from Seoul, but make sure to book your transportation and accommodation early as things fill up quickly during the festival. For more information, visit the Boryeong Mud Festival’s official website. Getting into the pool of mud and playing with everyone else seem exciting. 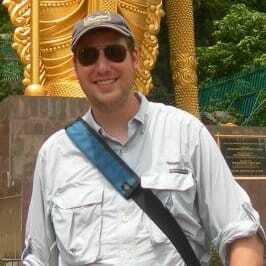 I really like to see the places in South Korea and sample their foods. I hope I can come there and try this mud craze in my future travel.